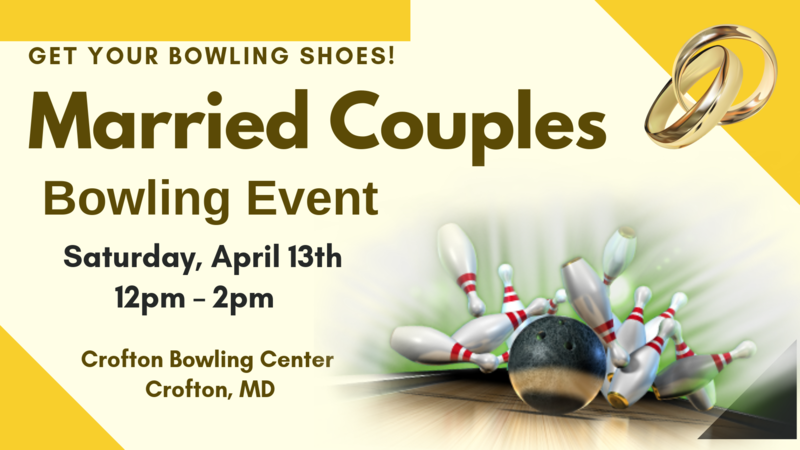 Married Couples: We invite you to join us for our Couples Bowling Event at the Crofton Bowling Center on Saturday, April 13th from 12pm to 2pm. The cost is only $25 per couple and includes your bowling shoe rental. We will begin receiving payments on Sunday, March 24th after each service. Come and enjoy the fellowship with other couples where the “strikes are in your favor.” Click here to register online.